Overall Juhuasuan is the no.1 (this is for Service Deals as well as Product Deals). 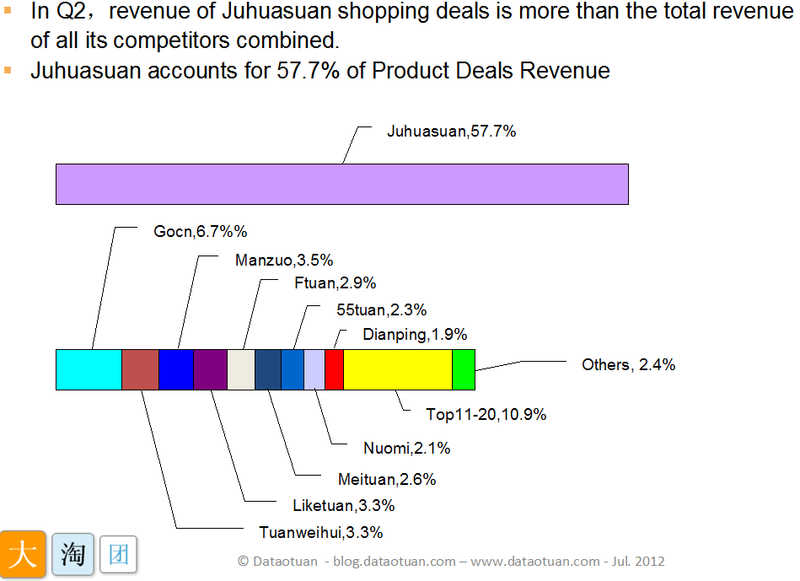 In Q2, 2012 revenue of Juhuasuan shopping deals is more than the total revenue of all its competitors combined. Taking out Product deals the leaders in Service deals are Meituan, 55tuan and Dianp- ing. The top 20 deal websites have 97.1% of the market.